Free Legal Style Guide from Adobe. ≈ Comments Off on Free Legal Style Guide from Adobe. What Is Your Opinion Of Microsoft’s New Windows 10? ≈ Comments Off on What Is Your Opinion Of Microsoft’s New Windows 10? What could possibly go wrong? Just quietly ponder that on your own for a moment. Have you ever done something like this on your own before? Although Microsoft has made it appear to be a very simple process, the potential consequences are significant. Seriously – this is the Operating System for your computer. It’s like the techie version of open-heart surgery. . . . Unique Contract Complaint – Disney Won’t Help Me Build An X-Wing. ≈ Comments Off on Unique Contract Complaint – Disney Won’t Help Me Build An X-Wing. Many remarkable legal documents land in my inbox, and I try to mention as many as I can. Of that group, only a select few are remarkable enough to make it into the Hall(s) of Fame. I don’t think any other case has yielded both a Hall of Fame pleading and a Hall of Fame court order, but this is probably such a case. . . .
Legal Writing Tips Honey Pot. 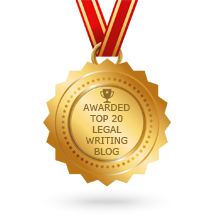 ≈ Comments Off on Legal Writing Tips Honey Pot. As a writing trainer for many of the nation’s top law firms with about 500 summer-associate workshops under my belt, I’ve learned first-hand where summer associates go wrong and how to help them succeed. Here are some questions that will likely come up over the summer, along with links to some free online resources. . . . Sad News for Windows Sticky Notes Users. ≈ Comments Off on Sad News for Windows Sticky Notes Users. Windows’ Sticky Notes program may seem like a convenient tool for jotting down reminders and miscellaneous stuff, but it’s really a disaster waiting to happen. I get questions all the time from readers who lost information stored in Windows’ Sticky Notes program. With Sticky Notes, when it’s lost, it’s lost. . . .
Depo Prep – Is Less Really More? ≈ Comments Off on Depo Prep – Is Less Really More? There is a popular 3M study that is often used to support the argument that attorneys should utilize more graphics in trial. The study found that audience members retained as little as 10% of the information three days later if the presentation was oral only; however, when presented the same information through both oral and visual presentation, the retention rate jumped to 65%. While this study is most often used to support the argument that presentations need a visual component, its implications can be applied to other areas of litigation. . . . Need To Negotiate and Settle A Case? There’s An App For That. ≈ Comments Off on Need To Negotiate and Settle A Case? There’s An App For That. Settlement negotiations are never fun. The back and forth and countless rounds of negotiations can cause the process to be drawn-out and downright exhausting. To make negotiations a little easier, Don Philbin and a team of attorneys and statisticians created Picture It Settled. According to the apps website, ‘the intelligent software has learned negotiation strategy from deep data from negotiation patterns in several thousand litigated cases, ranging from fender benders to intellectual property disputes in locations from tiny counties, large cities and everything in between.’ . . .
How To Take Out Trademark Bullies. ≈ Comments Off on How To Take Out Trademark Bullies. Intellectual property enforcement continues to make news, and new solutions to curb abusive enforcement – i.e. trademark bullying, patent trolling, and copyright trolling – are being proposed regularly. Central to these solutions is the idea of a ‘fast-lane’ that kicks bad claims to the curb before the bullied or trolled party has incurred significant legal costs. . . . Some Tips For Starting Your Law Firm’s Website. ≈ Comments Off on Some Tips For Starting Your Law Firm’s Website. Creating a new website for your law firm, whether you’re opening up a new practice or updating a dated law firm, can be an immense task. I’d love to say that following this guide will allow you to put together a successful and profitable website in your spare time. It won’t. . . .
How To Avoid The Emails We Wish We Had Never Sent. ≈ Comments Off on How To Avoid The Emails We Wish We Had Never Sent. This is a great tech tip from the Harvard Business Review blog that most of us should probably implement. It involves programming your email account to wait two minutes before each message is sent. It’s a great fail safe measure to prevent those emails we regret as soon as they’re sent and the typos (and omitted attachments) we don’t catch until it’s too late. . . . Wrongful Termination for Religious Discrimination – Spoiler Alert! The Employer Wins. ≈ Comments Off on Wrongful Termination for Religious Discrimination – Spoiler Alert! The Employer Wins. A recent religious discrimination claim dismissed in favor of an employer offers a number important take-aways for both employers and employees. . . . Ever Wanted To Know How To Write Like Chief Justice John Roberts? ≈ Comments Off on Ever Wanted To Know How To Write Like Chief Justice John Roberts? When Chief Justice John Roberts was a lawyer, he once wrote that determining the ‘best’ available technology for controlling air pollution is like asking people to pick the ‘best’ car: . . . .
Legal Ethics and Conflicts of Interest – What Is Your Professional Duty? ≈ Comments Off on Legal Ethics and Conflicts of Interest – What Is Your Professional Duty? Regardless of whether you are a lawyer, judge, or paralegal, have you kept a list of every case on which you have worked? Does it include all the parties or only your client? Christine Simmons recently posted an interesting article in the New York Law Journal in which the Court disqualified a White Plains attorney’s representation of his client. The attorney’s paralegal had, in the past, been involved with the opposing party. For this reason, the Court ruled to vacate the settlement due to tainted negotiations. So back to my original question – when you were hired, did anyone ask you to look at the firm’s active client list to determine whether you had a conflict of interest? Shouldn’t this especially be the case if your practice is limited to only one or two specific areas of law where you often get repeat business from your clients? Often, when a firm signs on a new client, it will run a conflict check through its database. It likely also sends an email to all the attorneys asking whether any have a conflict with this particular client. Are support staff and/or the IT Department included in this inquiry? Shouldn’t they if they will have access to the file or any communication with the client, regardless of what role they play in the preparation of the case? Does Your Trademark Sell Your Product Or Confuse Your Customers? ≈ Comments Off on Does Your Trademark Sell Your Product Or Confuse Your Customers? Even in the age of the Internet, the geographic use of a trademark is an important consideration in determining whether your mark is likely to confuse consumers as to the source of your goods or services. . . .
A Rose By Any Other Name . . . .
≈ Comments Off on A Rose By Any Other Name . . . . Attorneys looking for a paralegal to hire full-time, part-time or on a contract basis will be faced with a variety of titles and credentials. Paralegals are not a licensed profession, but credentials are offered by the national paralegal organizations on a voluntary basis. 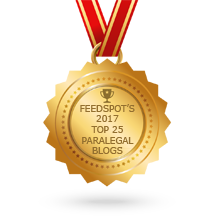 This is a quick reference guide to the most commonly used national paralegal titles and credentials. This list does not include state-specific credentials. . . .
International Banking Law Honey Pot. ≈ Comments Off on International Banking Law Honey Pot. The Global Banking Law Database (GBLD) is a joint project of the World Bank and the International Monetary Fund. The GBLD consists of a collection of commercial banking, central bank, and deposit insurance laws of jurisdictions that are representative of the regions of the world as well as international financial centers. The laws are available in English in both MS Word and PDF (Adobe Acrobat) formats. . . .
“Release To One, Release to All” – A New FOIA Policy. ≈ Comments Off on “Release To One, Release to All” – A New FOIA Policy. With little public fanfare, seven federal agencies have announced a controversial trial program of publishing documents responsive to most Freedom of Information Act requests online. Under the program, known as a “Release-to-One is Release-to-All” policy, any member of the public will presumably have access to the result of almost any FOIA request. . . .
Avoid Juror Contact And An Ethical Violation. ≈ Comments Off on Avoid Juror Contact And An Ethical Violation. Opening statements had just ended and members of the trial team were beginning to return from their lunch breaks. The attorney we were working with for this shadow jury and I got on the elevator in the parking garage and he began telling me about the upcoming witness testimony. As people (some of whom presumably could be jurors) piled into the elevator on the next floor, the attorney stopped our conversation, looked over at me and whispered, “I’ll take the stairs to get some exercise.” I knew what he meant. . . . When to use affect and effect is one of the most common questions I get. This is an expanded show based on the original episode covering when to use affect with an a and when to use effect with an e. . . . Yes! Ohio Court Rules Missing Punctuation Changes Interpretation Of Municipal Code. Look, I know you’re all busy, but let’s just take a minute today and celebrate Judge Robert A. Hendrickson and the 12th District Court of Appeals in Ohio. These champions of copy editors everywhere. That one court that totally called out a village ordinance for its comma-related failings. Special Baseball Exemption – Supreme Court Takes Us Out To The Ball Game. ≈ Comments Off on Special Baseball Exemption – Supreme Court Takes Us Out To The Ball Game. Baseball is special. How do we know that? Is it the fact that it has been declared America’s Pastime? Or is it the feelings we have when we smell the freshly cut grass on a sunny spring day? Or is it the acoustics of a wood bat striking a leather-wrapped baseball? The answer is that we know that baseball is special because the US Supreme Court has told us so. Over the course of ninety-two years, the Supreme Court has consistently affirmed and re-affirmed a special exemption from the antitrust laws for the ‘business of providing public baseball games for profit between clubs of professional baseball.’ There is a state action exemption, an insurance exemption, a labor exemption, and a . . . baseball exemption? That’s right. A baseball exemption from the federal antitrust laws. . . . Regret Hitting Send or Hitting It Too Quickly? Finally, A Way To “Undo Send” In Gmail. ≈ Comments Off on Regret Hitting Send or Hitting It Too Quickly? Finally, A Way To “Undo Send” In Gmail. Let’s face it, people make mistakes. However, a new feature from Google may help people who make those mistakes avoid the consequences – if they’re quick to address them. As covered on Fortune.com (Gmail now officially lets you ‘Undo Send’ those really embarrassing e-mails, by Kia Kokalitcheva), Gmail, Google’s e-mail service, has officially added its ‘Undo Send’ feature to the Web-based version of the service. . . .